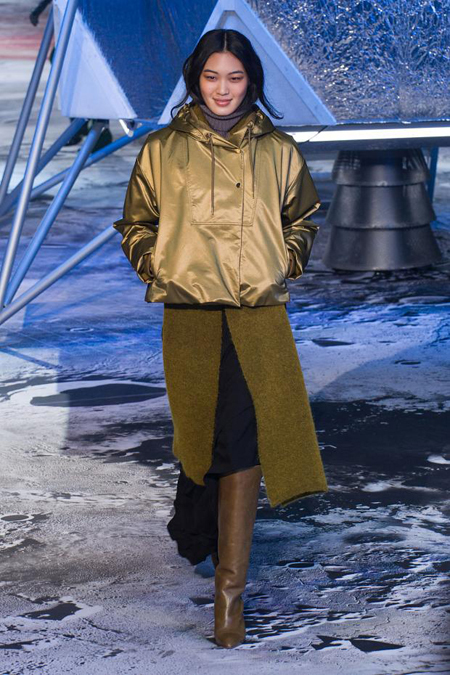 Sportswear, function and a generous splash of retro-futuristic shimmer come together for a high-fashion extravaganza in H&M Studio Autumn/Winter 2015. 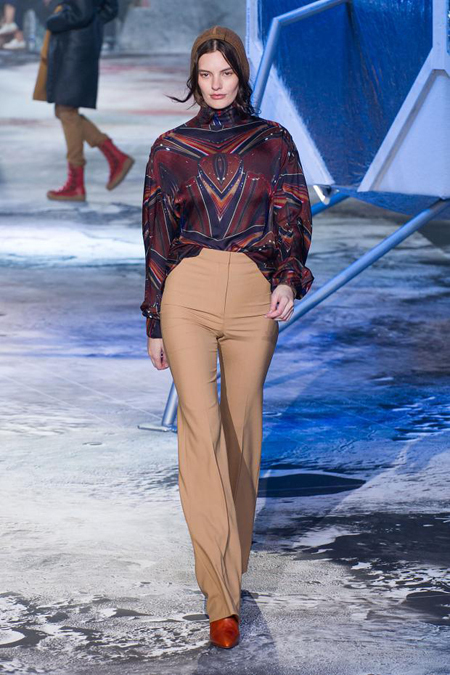 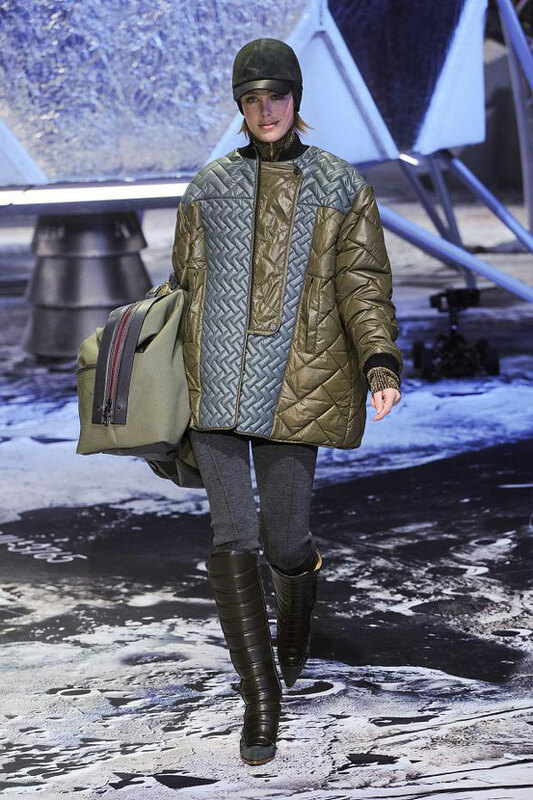 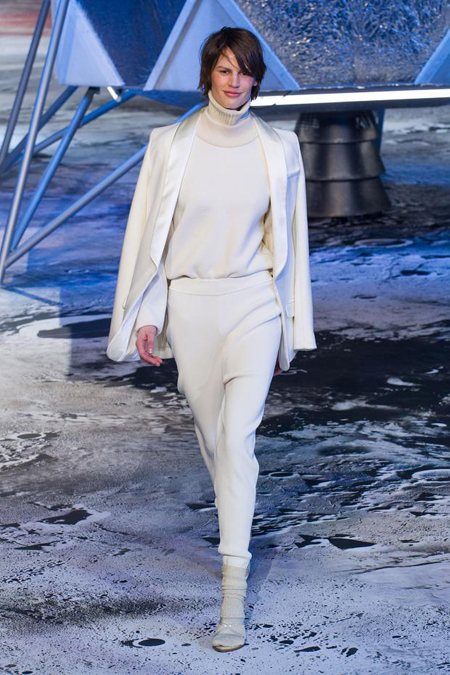 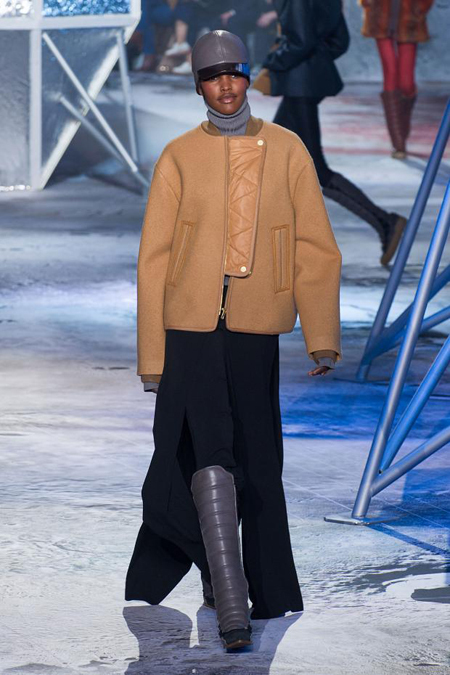 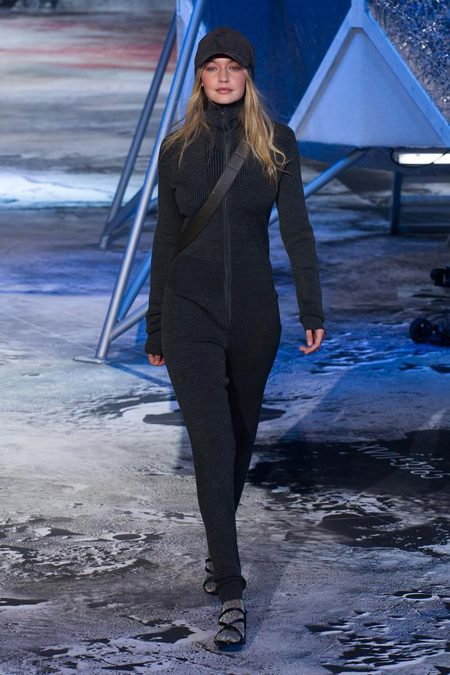 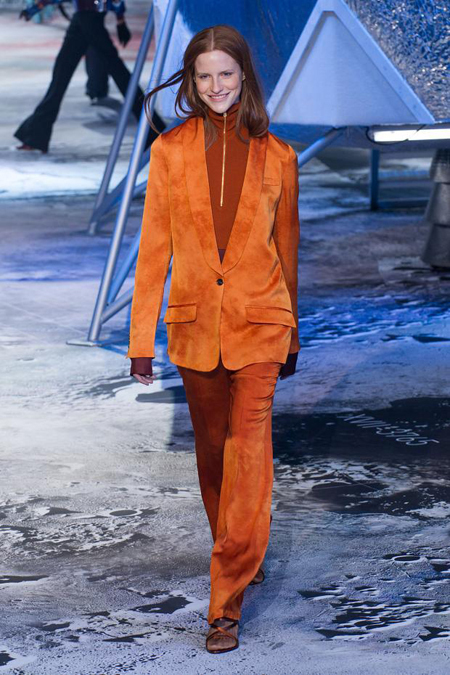 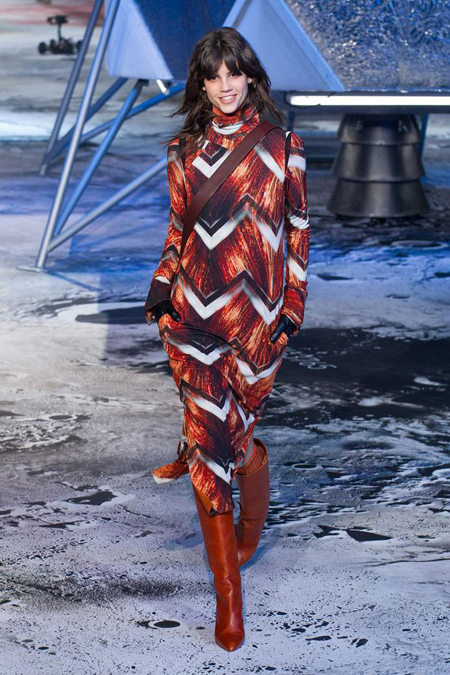 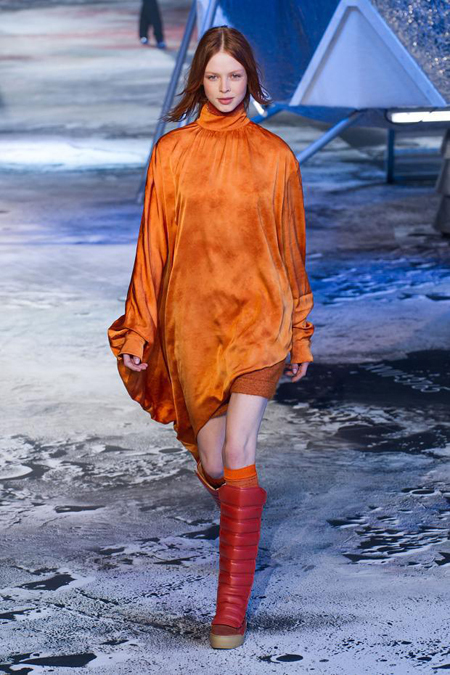 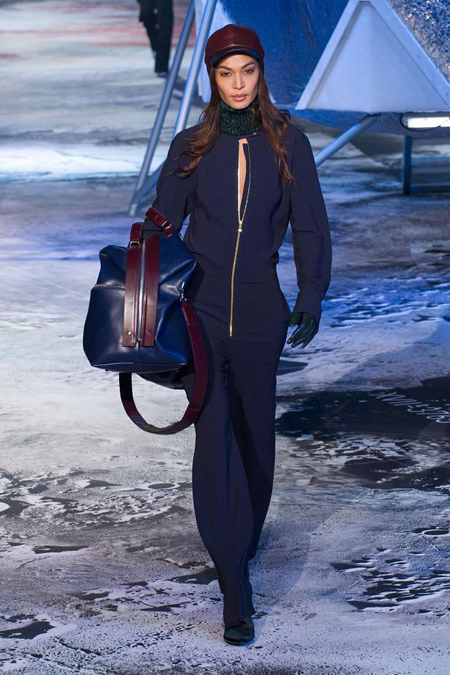 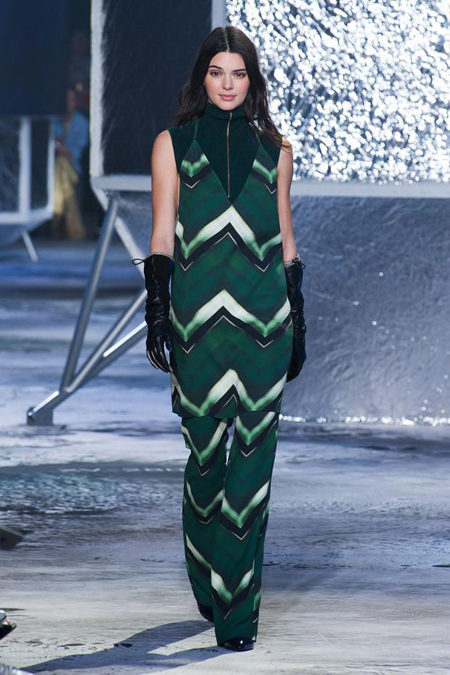 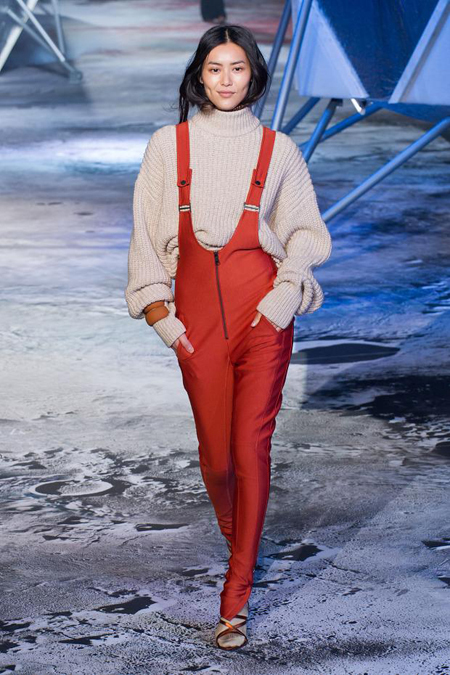 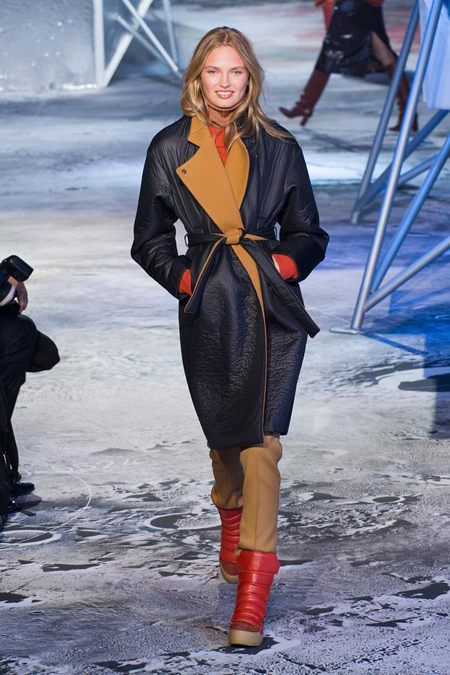 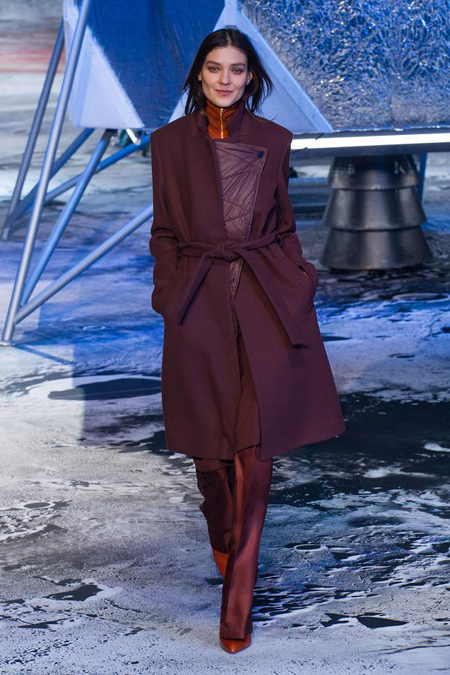 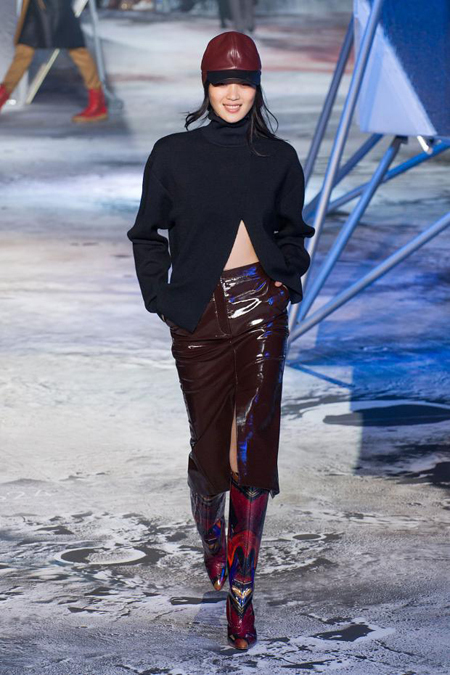 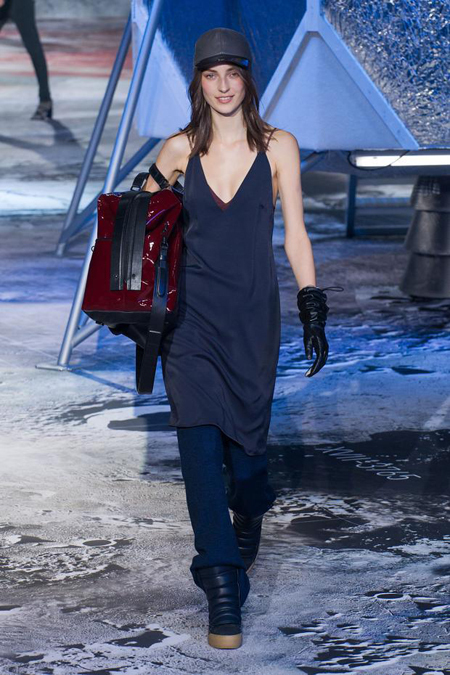 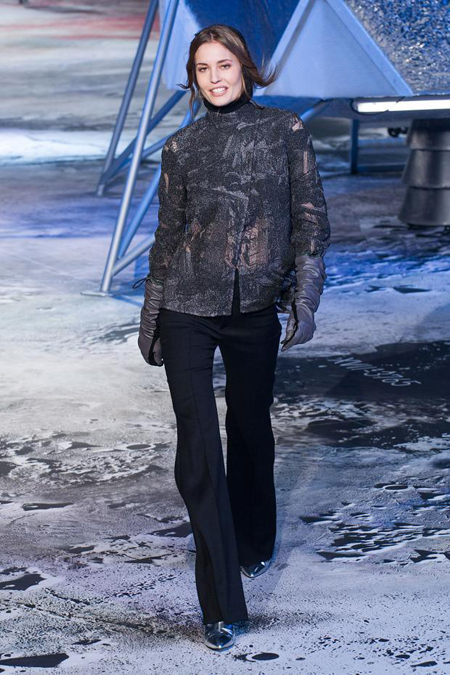 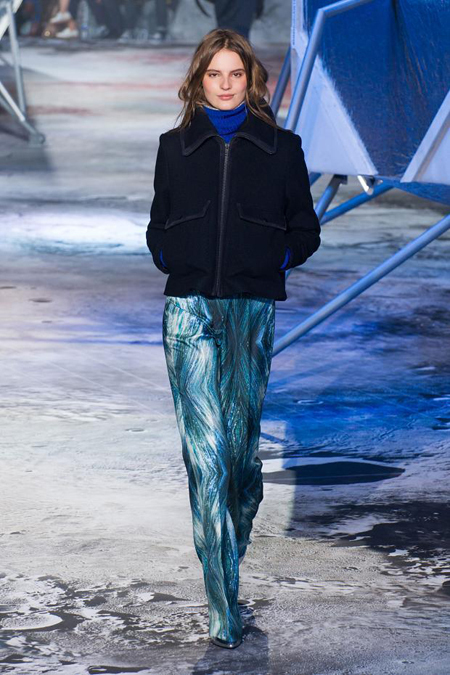 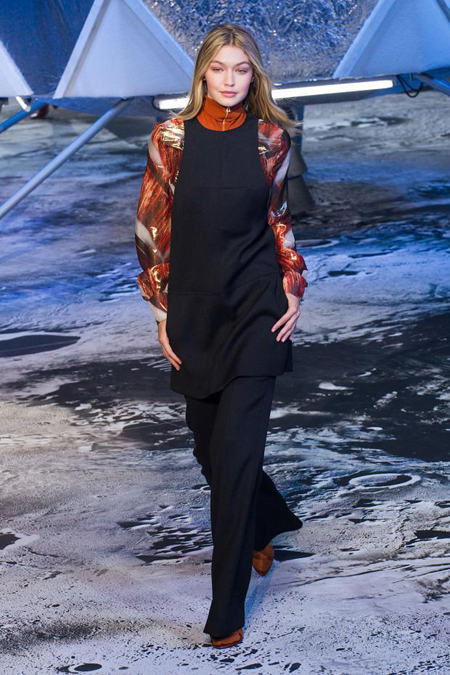 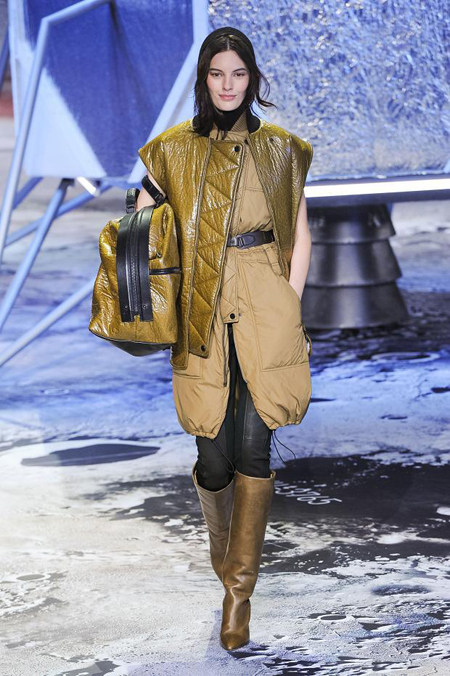 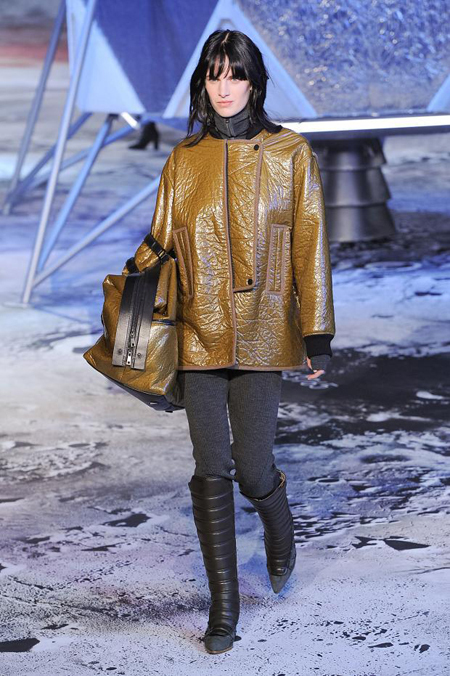 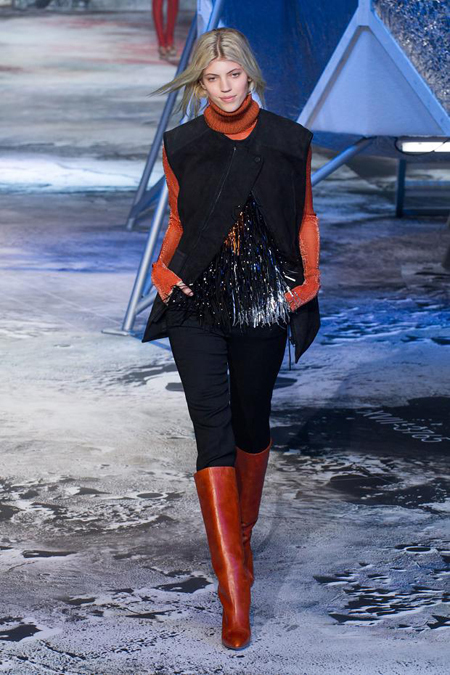 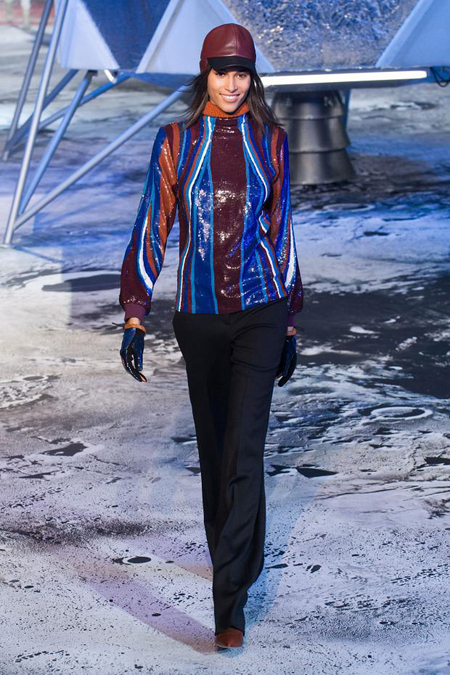 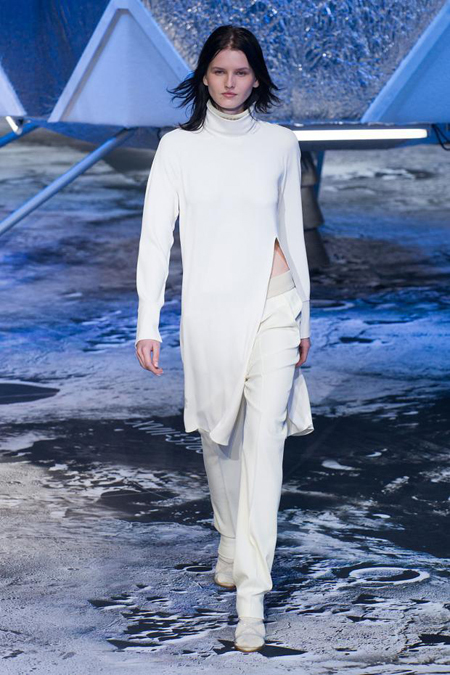 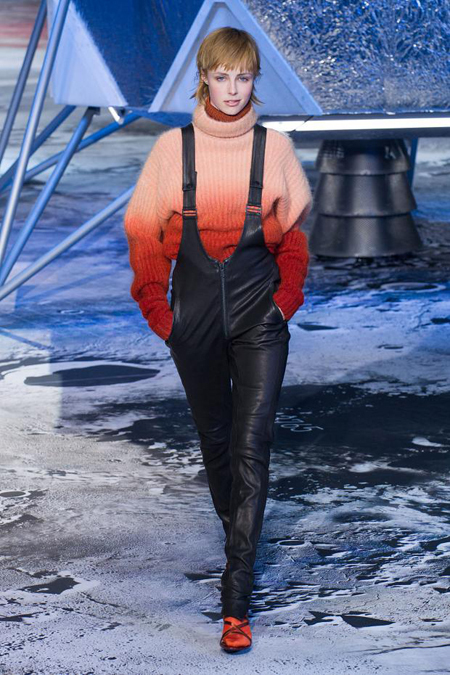 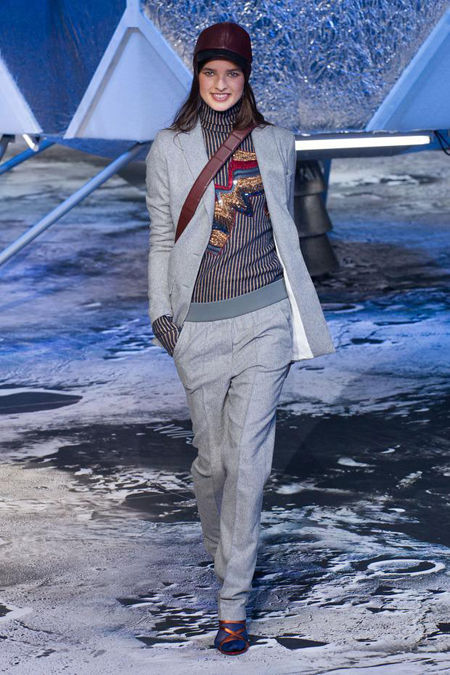 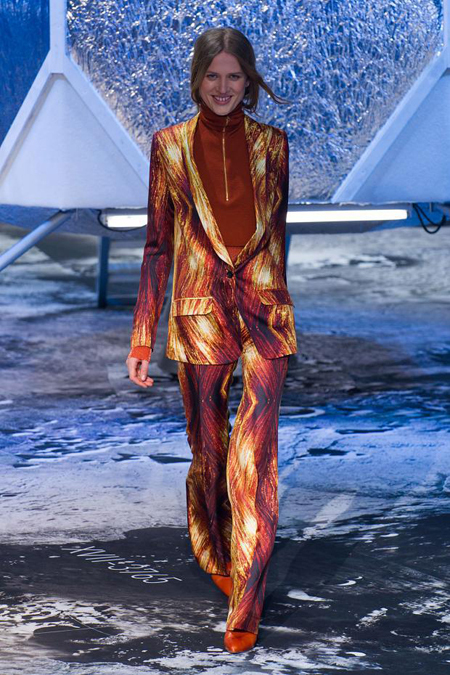 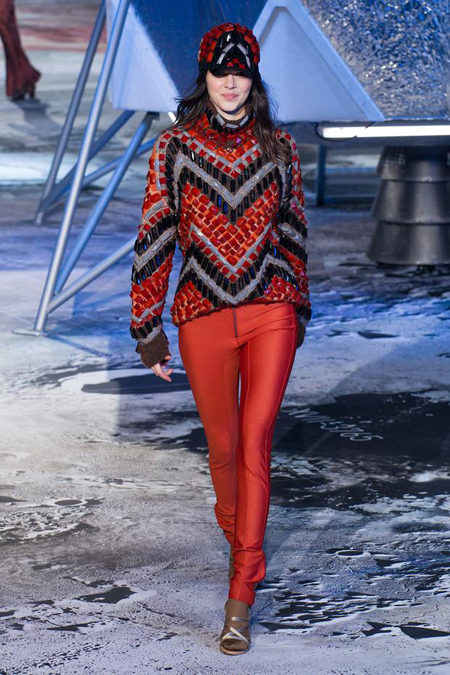 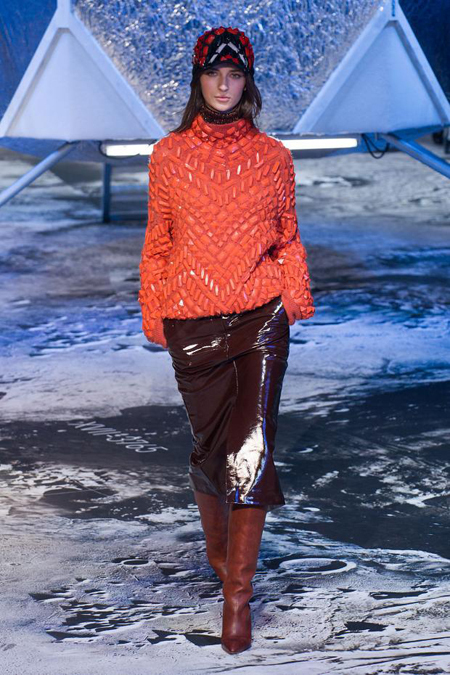 Taking cues from the late 60s futurism this collection blends sporty skiwear with rich colours and embellishment. 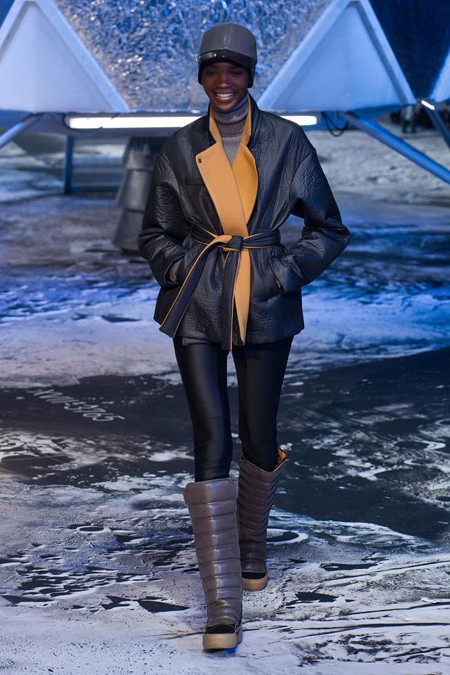 An oversized silhouette is styled in layers, clashing lustrous leather and laminated wool with rich textures like faux fur, ribbed knits and quilting. 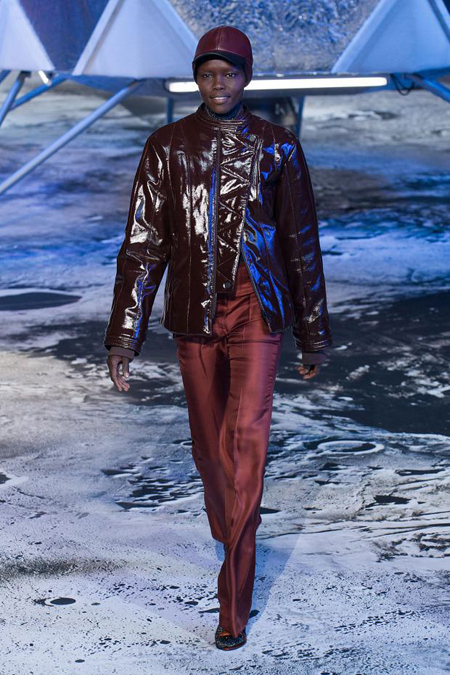 Leather and beaded embroidery give the collection a luxurious edge while sequins and lurex add a glamorous touch, transcending the conventions of day- and eveningwear. 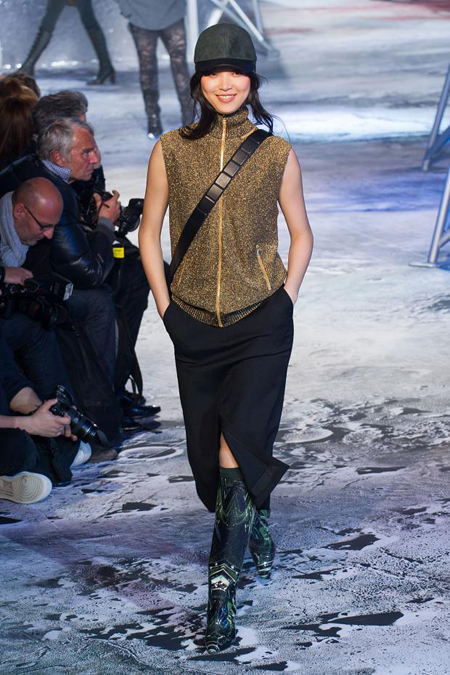 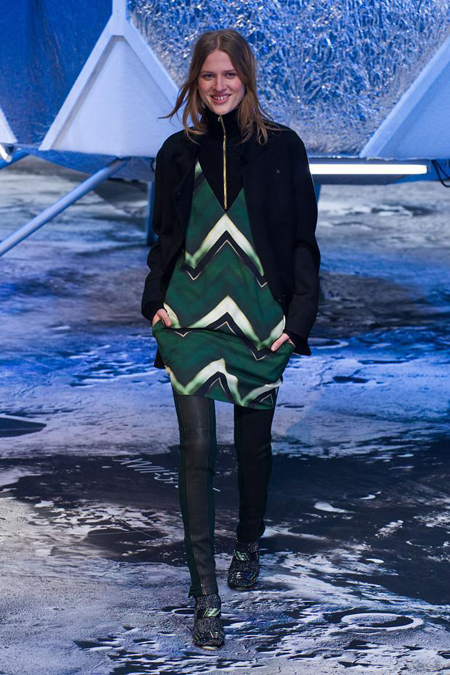 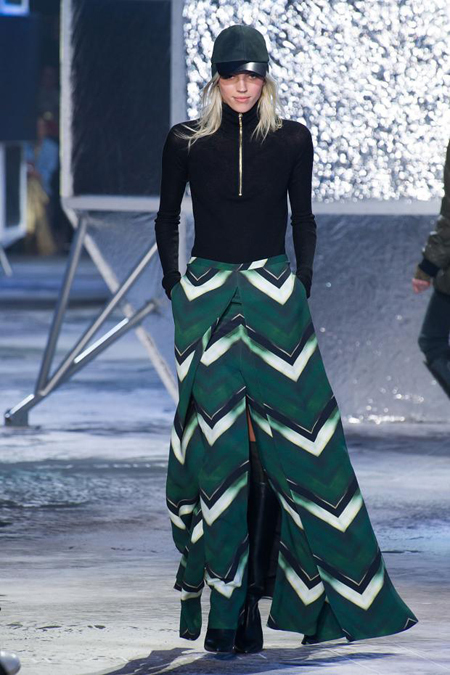 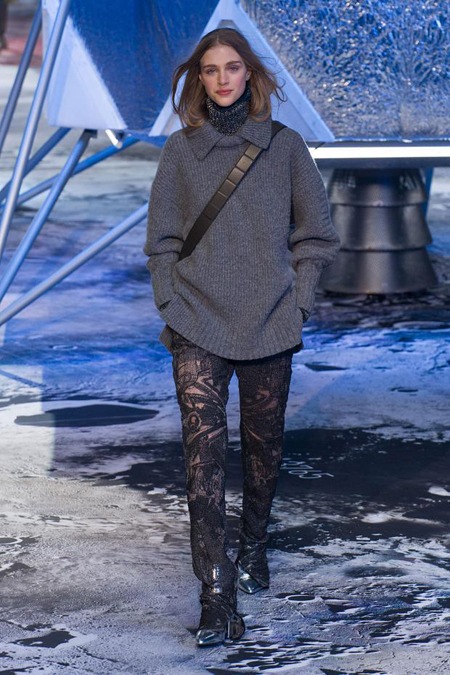 H&M Studio is our most fashion-forward collection and is shown during Paris fashion week. 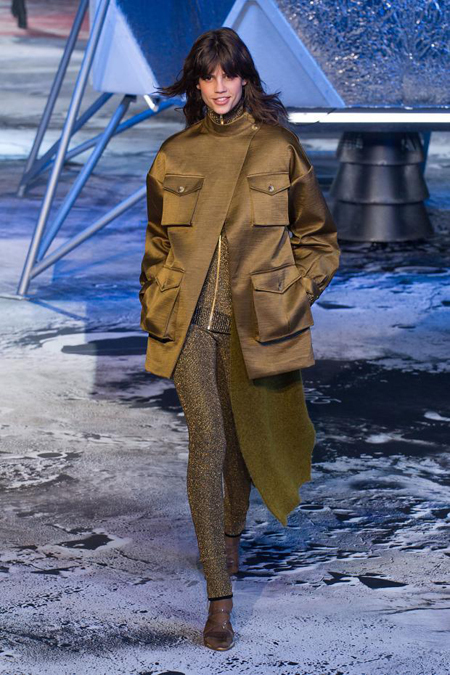 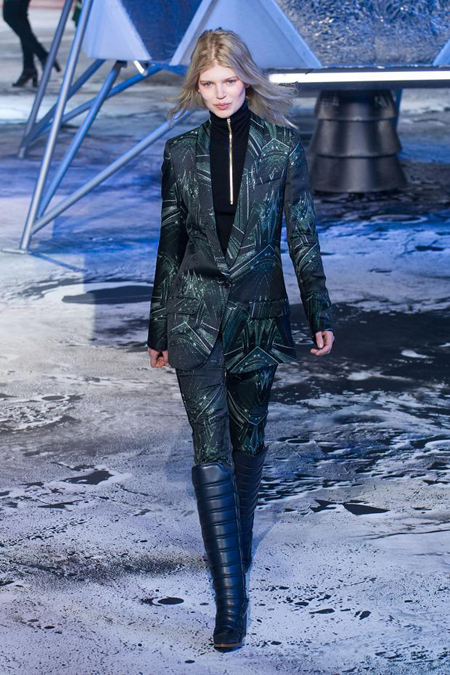 Working on conceptual themes, H&M Studio offers a high-fashion aesthetic made in premium materials. 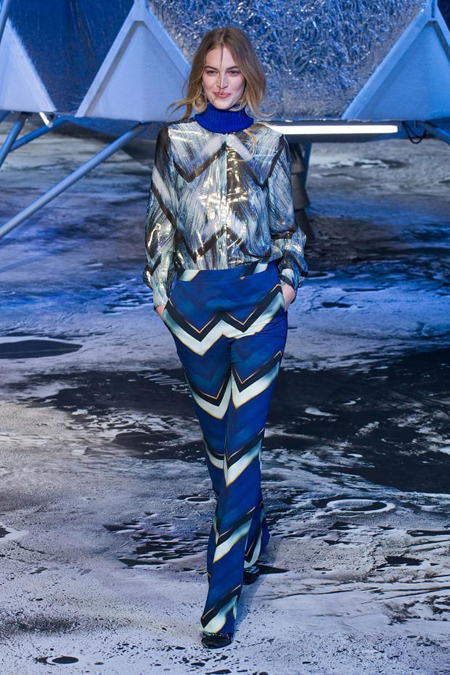 Starting September 10, the collection will be available in about 250 stores and at hm.com.